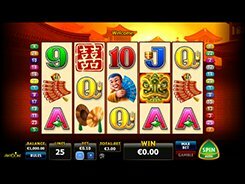 Developed by Aristocrat, Double Happiness is a 5-reel slot equipped with 25 fixed paylines. The game is themed around a Chinese culture, and the symbol set is a Chinese drum, a sky lantern, a woman waving a hand fan, etc. 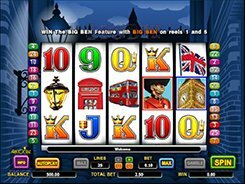 The slot has a single bet option that can be adjusted before a spin, namely, a bet per line. 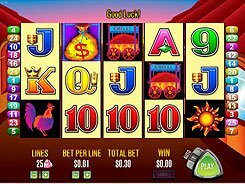 By clicking the “+” and “-“ buttons, you may change a total bet in a range of $0.6 to $120 per spin. The first, second and third largest prizes are $4000, $3000 and $2000. 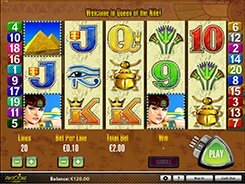 Along with regular symbols, the slot features a wild and a scatter. 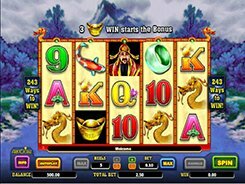 The wild represented by the Dragon Mask stands in for other icons, except for the scatter which, in this slot, is the Double Happiness Hieroglyph. 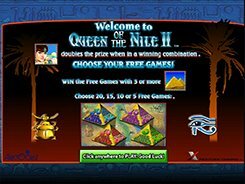 Three to five scatters occurred in any position win 10, 15 or 25 free spins, during which you may benefit from the Double Roaming Wild feature. Whenever you spin the reels during the free games, two wilds float over the symbols and then land on a random position transforming two symbols into wilds.